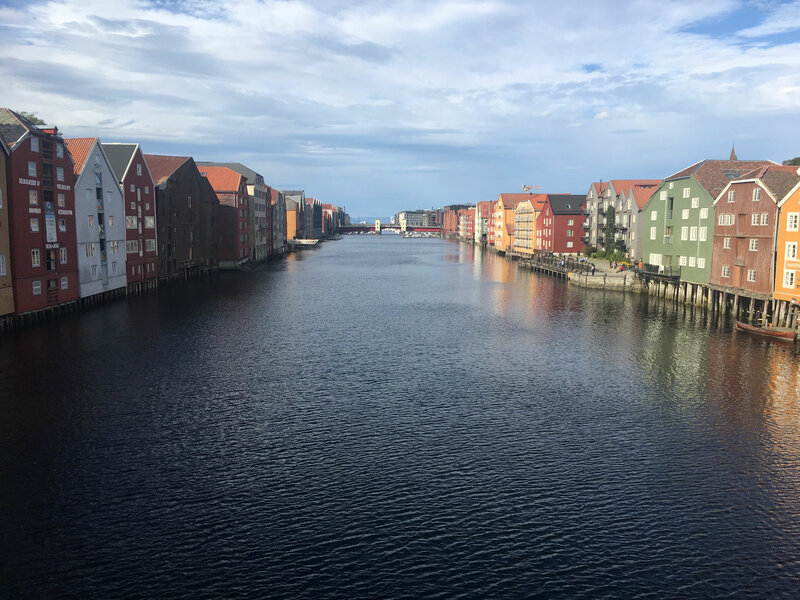 Matt just returned from Trondheim, Norway and a busy four days at the salmon industry’s biannual get together, working on the forthcoming feed report to be published by Undercurrent News. The salmon industry is booming, and hundreds of service providers want a piece of the action, selling everything from life jackets to gigantic offshore cages that have been crafted from companies that specialize in oil and gas rigs. Salmon prices are at a multi-year high and producers are selling all the fish they farm. Prices shot up to over $7 a kilo last year when Chile, the No. 2 producer behind Norway, suffered a strange and devastating outbreak of algal bloom in its southern fjords, killing millions of fish. The episode, apparently spurred by the warming of the southeast Pacific Ocean explained by El Niño, led to the biggest supply disruption in recent history. Therein lies the challenge of salmon farming. It is still a tricky, complex business that is prone to deadly illnesses and other natural disasters, wiping out entire harvests indiscriminately. Farmed salmon replicates the life cycle of wild salmon. Over the course of three years, fish are raised from eggs, or broodstock, to smolt size. Then after a year, they are lowered into sea cages, after spending their first two years in a freshwater environment. This traditional rule of thumb was the subject of much debate at AquaNor. Most farms used recirculating aquaculture systems (RAS) to grow younger fish — and the general thought is that these fish could spend more of their times in tanks and less time out of sea, where they are susceptible to picking up sea lice. However, several companies spoke of failures with experimentation of prolonged time in tanks. The silvery, pink-fleshed Atlantic salmon is the most common and by far the most widely sold in North America and Europe. Japan has a preference for the smaller and rounder Coho or Pacific salmon that mostly gets carved up into sushi products. Even in the current climate of red hot prices, virtually every producer in the world is facing some kind of supply problem. Norway, Scotland and some producers on the western coast of Ireland are all struggling with greater than usual amounts of sea lice that attach themselves onto the fish and make them weaker, leaving them prone to other illnesses. Chile, on the other side of the world, faces the challenge of salmon rickettsial syndrome (SRS), another weakening disease that requires heavy antibiotic use — leading to negative press in the United States. On top of that, salmon demand is inelastic. When prices go high, they start to fall because salmon competes directly with chicken, pork and beef for space on dinner plates, even in the most developed nations. The salmon industry is looking for the next big technological breakthrough that allows to stabilize supply at greater quantities and with lower costs. AquaNor showed the industry is working 24/7 to find solutions, from an engineering perspective, both from the world of genetics and biotech. With such a hugely popular product and seemingly boundless demand (if the price is right), the prize is great. A silver bullet solution for sea lice, for example a vaccine, would be a massive boost to the industry. The salmon industry is limited to small numbers of coastal sites in countries that have suitable conditions of cold ocean waters and mazes of inlets and fjords that offer low currents for the fish to thrive. These select sites are almost always beauty spots in temperate latitudes and farms are met with resistance in almost every place where they are present, barring possibly the Faroe Islands. These islanders, I’m told, see the salmon industry as a core part of their economy and hence survival in these cold, remote islands. Norway has just about run out of space, and can only look further out to sea. Several producers have begun to develop new technologies from floating steel structures looking like eggs and donuts that have been developed using subsea oil and gas technology. SalMar, a major Norwegian producer, is about to kick off the advent of offshore salmon farming by installing its massive Oceam Farm 1 later this year off the Norwegian coast. The giant, ring, that was developed by a Chinese shipbuilding yard, was mistaken for a spaceship when it was temporarily moored in a South African port on its way to rainy Trondheim. Southern Chile is one of the very few areas of the world that has an entirely new area suitable for salmon farming at the southern tip of Patagonia, but licensing is slow to emerge from a government mindful of earlier disease outbreaks that have been attributed to rapid expansions in fish populations. The industry has had a fractious relationship with Marcelo Mena, the environment minister of Chile, who has called for curbs on salmon farming in this remote area called Magallanes. The technology that breaks the salmon farming CEO into a cold sweat is however RAS. RAS systems could technically be used to grow fish to market, size, although the size of the tanks required make this almost prohibitively expensive. They cost in excess of $20m, and have to run by specialized (read Norwegian-trained) engineers who know how to operate them. According to the Shepherdstown, West Virginia-based Freshwater Institute, RAS systems are still prone to pathogens (like any environment where intense farming is practiced). Once they get inside a RAS farm, basically everything dies. The holy grail for the global industry is the Faroe Islands that produces disease free salmon, albeit from a few sites. New areas of the world, such as Russia’s Kura Peninula, Iceland, or Chile’s southernmost Magallanes, could be the next Faroe Islands. But other things, such as a sea lice vaccine, better economics on RAS or offshore breakthroughs, could lift the anchor on global salmon supply. The lifting of that anchor will also be contingent on the world discovering a new source of omega-3 fatty acids, currently sourced from wild capture fish.